In the article ‘What Is Free Royalty Free Music’ I explained what royalty free music is and how it can be used but I think it is also important to explain what royalty free music is not. Many people have ideas about what they can do with royalty free music after they license it that are simply not true. I would like to dispel a few of those misunderstandings below. 1. Royalty Free Music is Not Free. Just like sugar-free candy is not free and fat-free yogurt is not free, royalty-free music is not free. It is something you have to pay for but it is free from paying royalties. See below regarding the proper term “Free Royalty Free Music”. 2. Royalty Free Music is Not Something You Own After You Purchase It. You cannot upload the music by itself and sell it to other people as if it were your own. It is only licensed to you to use in conjunction with a media based project like a video or film. 3. Royalty Free Music is Not Copyright-Free Music. Far from it, royalty free music is copyrighted and protected by the composers who created the music. They are only allowing people to use their work by selling them a license to use the music. Many singers mistakenly believe they can buy royalty free music, write some lyrics, record their vocal over the music and then call the results their own song and distribute it as they wish. This is completely not true and not allowed under any royalty free music license I have ever seen. To create a song like that you need to hire a composer to write music for you. Or learn how to play piano and write your own music. You cannot take bits and pieces of the royalty free music you license and create your own music out of it. There are sample libraries available for this purpose and sampling bits of royalty free music is just like sampling bits of music by your favorite artist, it is not allowed without proper clearance. Many people mistakenly believe that when they license royalty free music that they then have the right to create a new business with the music they have licensed by allowing other people to use the music. An example would be a company with a video creation site that makes a menu of music available for their users to place on the videos they create in the web app. This type of use is not allowed and is a form of redistribution. Another example would be a company that creates on hold music, they would not be allowed to use royalty free music to redistribute to their clients. ‘Free Royalty Free Music’ is the proper term to search for to find royalty free music that is available for you to use in commercial projects without paying any kind of fee at all. All of the above criteria still apply but there are many composers that make their music available for use for free in commercial projects. Here’s the deal with iMovie plugins and the newer versions of iMovie. iMovie ’08 is a complete rewrite of Apple’s movie editing sofware and does not support plug-ins. It is made for easy editing and uploading of videos to the web but is not meant for professional editing capabilities and effects available in earlier versions of iMovie. For your video projects that involve more than a standard dissolve transition, iMovie 6 is still there and available for you to use. You can download and install iMovie 6 and use it in conjunction with iMovie ’08 and ’09 if you’d like. That way you can take advantage of all these free plugins for editing and then move to the later version of iMovie for upload and general editing. Download iMovieHD6.dmg to Use These PluginsThis file is 149 megs and is a full application, not an update. Then install as usual. I just did this on an old mac laptop that had absolutely nothing on it, no version of iMovie and no iLife and it iMovie 6 installed just fine after using the solution above. * Color Mangler (color controls) UPDATED FOR 1.3! * Eric The Plugin (4:3 to and from 16:9) UPDATED FOR 1.3! Sampler 1 contains a selection of transitions taken from the Melt Through, Melt Away, Pixelate, and Soft Wipes sets, download the free BKMS iMovie plug-in samples. Below are some individual demos from BKMS. Allows users to add new cities to the list of over 4,000 locations provided by Apple to create powerful animated travel maps. Although most large cities and popular tourist destinations are included, most users are likely to find out at some point that their destination is not available. CityListBuilder fixes the problem by making it very easy to add new cities by leveraging Google’s powerful geo-location web services. This tutorial will show you how to create a pause button for the music loops you have added in the first tutorial. 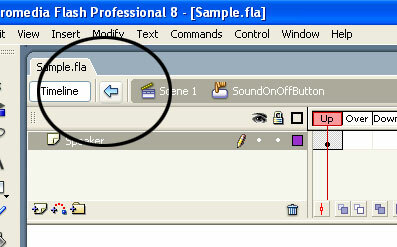 This tutorial is built on top of the the tutorial ‘Creating a Sound On/Off Buttons’. You should complete the tutorial successfuly. 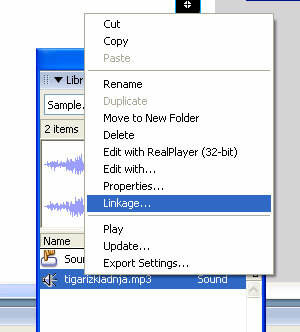 Click here to open the tutorial. When you complete it you can come back here. 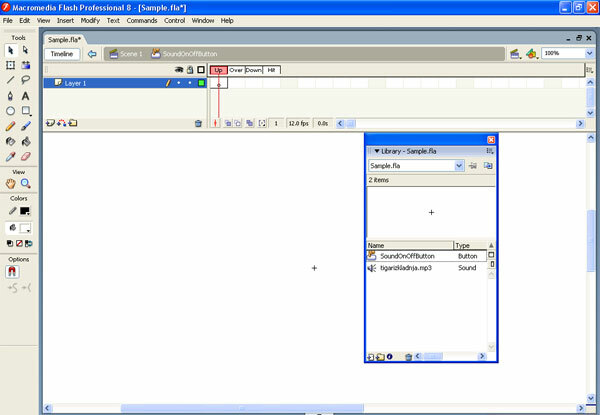 Open the library from this tutorial and double click the button in library. 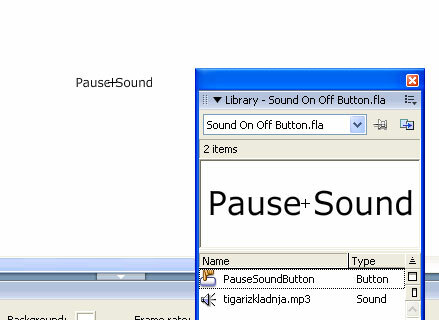 Rename the button the ‘PauseSoundButton’ (Image 1). 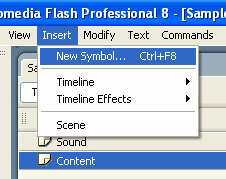 Right click on the button and click ‘Edit…’. 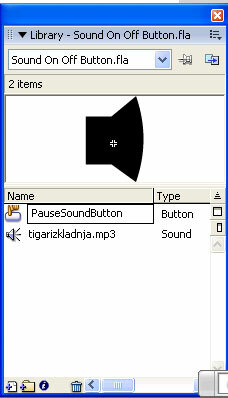 Remove the speaker graphic and add a simple text like ‘Pause Sound’ (Image 2). It’s noting spectacular as you can see, but up to you how you create your graphics. You can add what you want into the button. That’s it! You have a functional pause button!